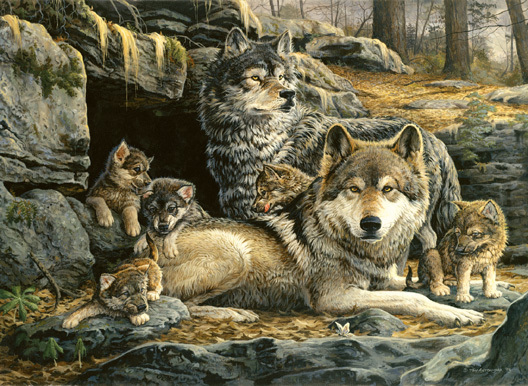 The First Spring Wolf Puzzle features a Mama and Papa Wolf sitting at the entrance of their den with their four adorable pups. The Artwork is stunning and the puzzle is large. This Wolf puzzle is 100% made in the USA using eco-friendly, soy-based inks on recycled board. This Wolf puzzle would make a wonderful gift.